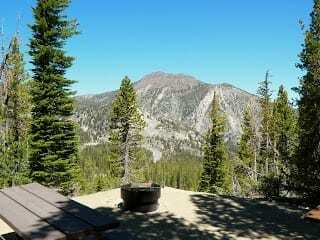 Kaspian Picnic Area is situated along a 1/2 mile stretch of cobbled shoreline with expansive views across Lake Tahoe. The picnic area parallels the Tahoe City bike path, and offers numerous picnic tables and grills, a 100 foot public pier, and public restroom. The picnic area and shoreline is located on National Forest lands.